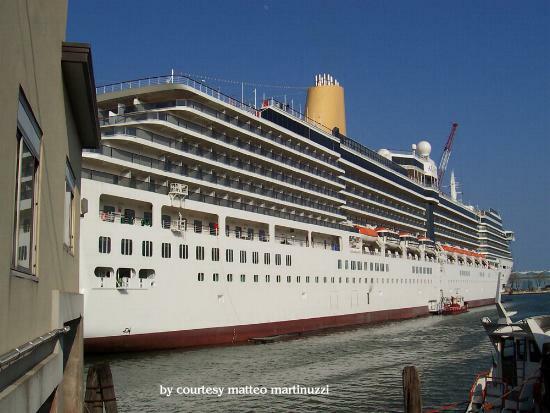 Registered Owner: Carnival Plc. 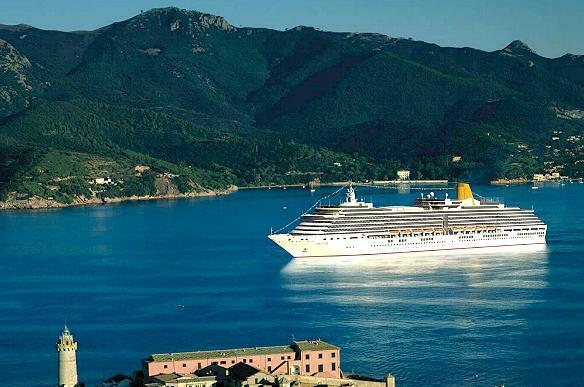 - United Kingdom - Operator: P&O Cruises - UK. 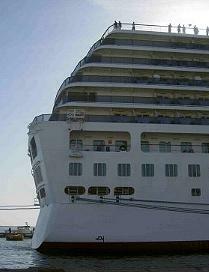 The ship has already a whole history behind the back. Originally ordered in 1994 as the fourth HAL-Vista Class. 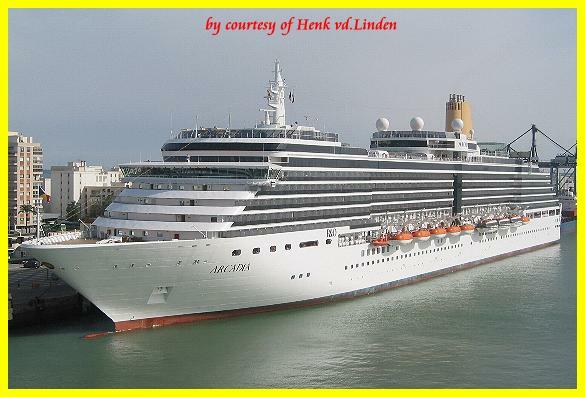 The Carnival Corp. decided to hand-over the ship to Cunard and renamed it in "Queen Victoria". 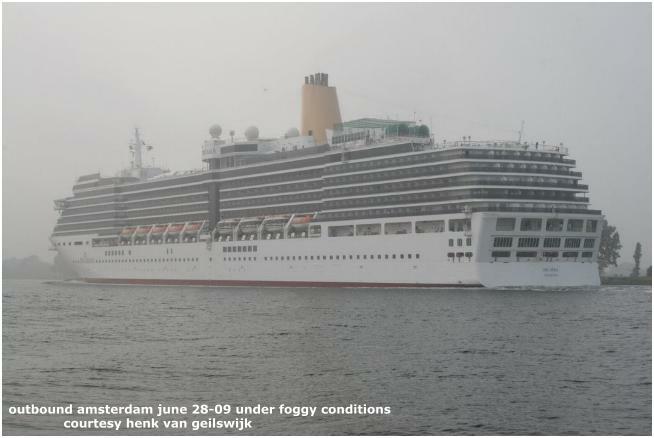 During the design phase it was not possible to create a Cunard image. 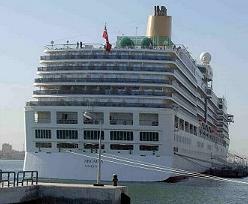 Then was decided to transfer the "Queen Victoria" to P & O - Cruises -UK. 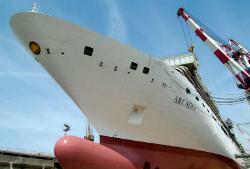 She now sailing as the "ARCADIA". 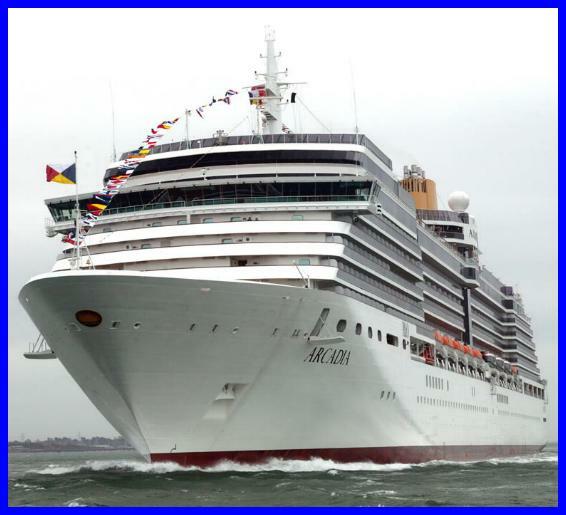 The predecessor now sailing as "Ocean Village" but will hand over in 2010 to P&O-Australia. 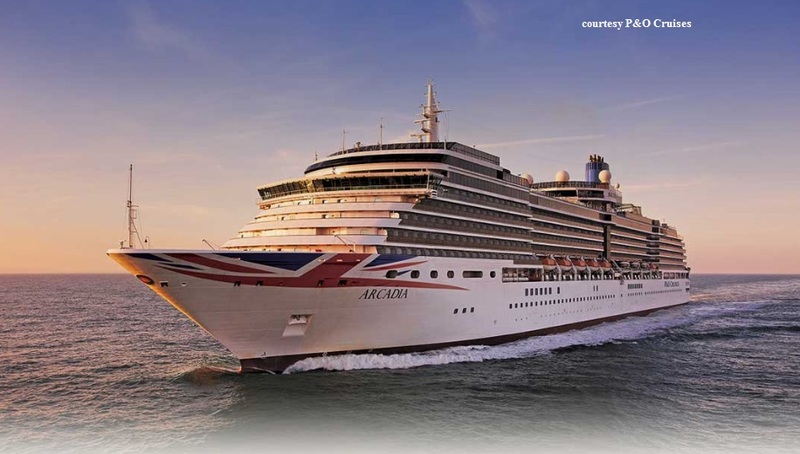 Dec.2-2008 P&O Cruises Arcadia is currently undergoing a multi-million pound refurbishment, during which a total of 34 new staterooms will be added. 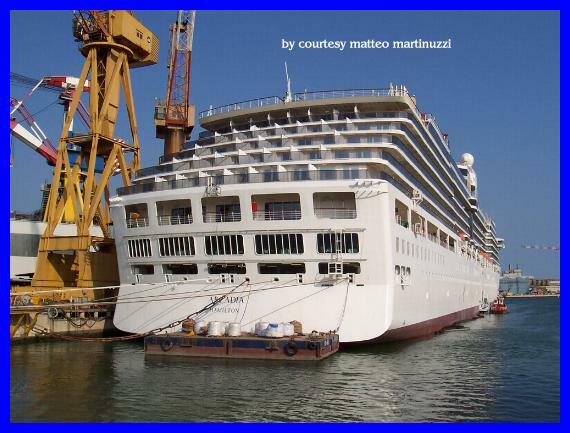 The refit is being done in the Lloydwerft shipyard in Bremerhaven, Germany. 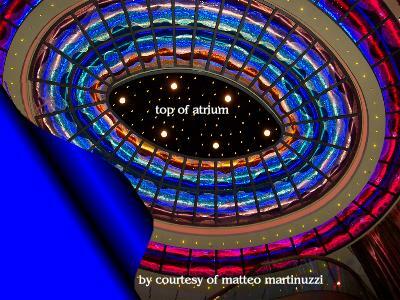 A new section of staterooms with private balconies will be added to the aft end of the ship. 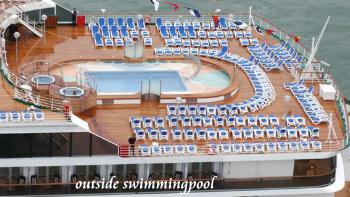 This will result in the creation of an enlarged deck area around the already popular Aquarius Pool. 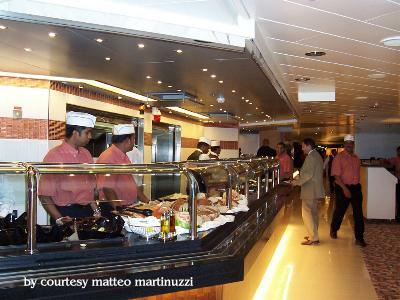 To further enhance this area, a larger and more stylish, new bar has been created. 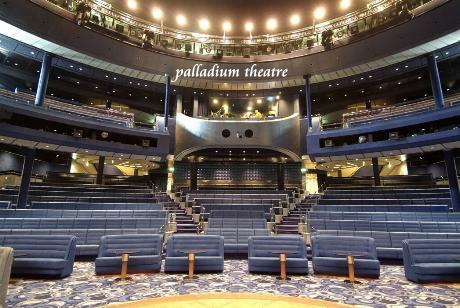 A further new feature for passengers will be a 30-seat boutique cinema. 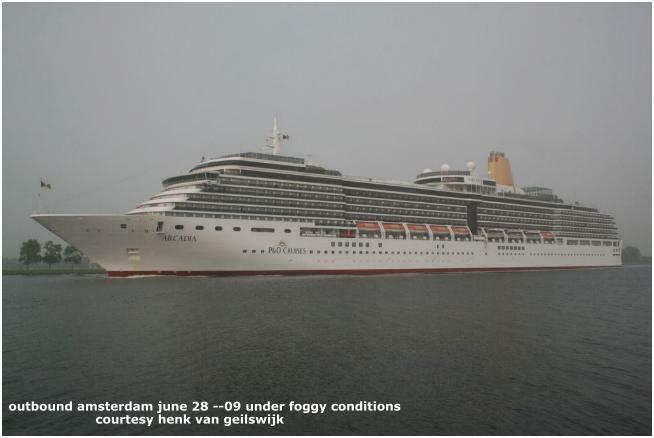 The photo gallery is to be revamped with more space and privacy given for portrait sittings and the addition of equipment for passengers to download images from their own cameras to be printed directly on board. The addition of single cabins. 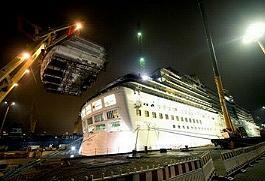 Lloyd Werft will build a new deck house on Deck 10 weighing 75 tons. 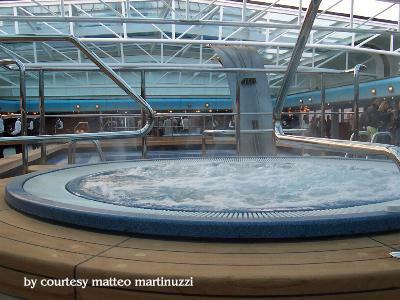 It will also build the 23 passenger cabins and a suite, all with balconies, in the new deck house structure. 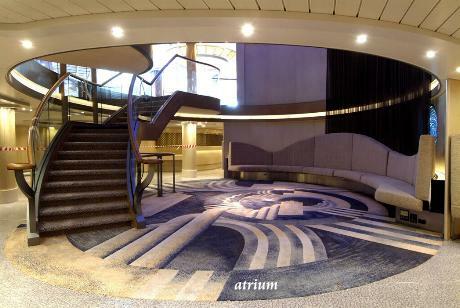 The new deck house will not only increase passenger capacity to 2110 pax and 2434 all and the number of passenger cabins to 1055.